To continue on this Japanese food streak (god I love Japanese food), comes the next category of Japanese noodles: Soba. A relative new comer to the competitive food market of NYC (though at the time of writing they’ve been around for more than a year), is Cocoron Soba. 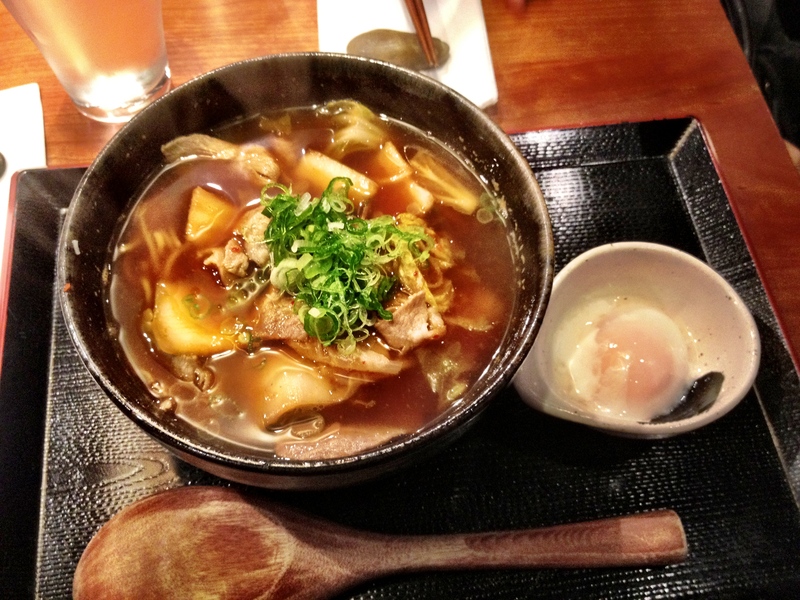 Their mission is to serve heartwarming soba to the people of New York. And personally, whatever warms my belly definitely warms my heart. If you think of soggy buckwheat noodles in warm soy-sauce-like broths when you think of soba, you have to give Cocoron a chance to change that image. Try the Stamina Dip Soba. Piping hot soba sauce cooked with chicken, scallions and celery on top of a little burner, with a hearty portion of perfectly al dente soba. And you can add soba broth to your sauce to make it drinkable later. 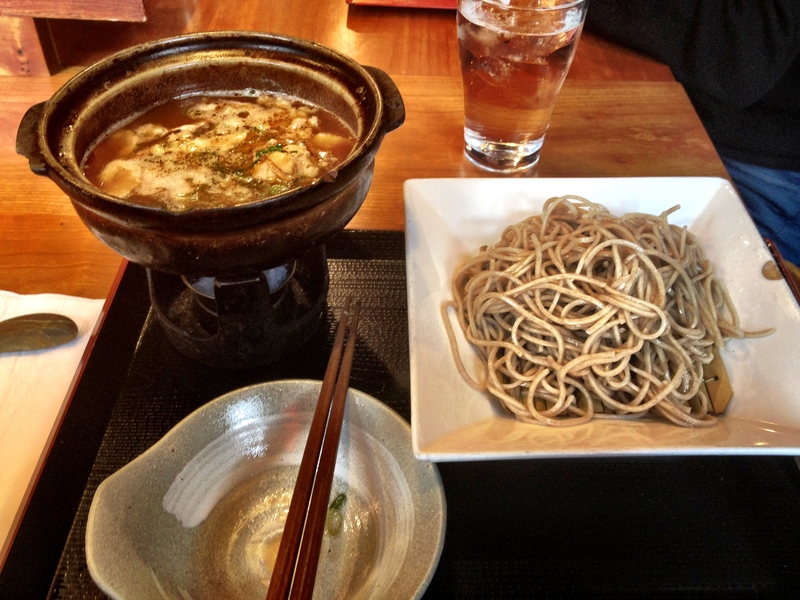 I suggest ordering a large so you have more soba to eat with the broth. If you prefer warm soba, try the Pork Kimchee Soba. With a poached egg on the side. Thanks to Sarah who finally convinced me to go. i love noodles so much. your posts make me dream about noodles! too bad we don’t have ramen places in upstate new york but fortunately there’s a pho place.